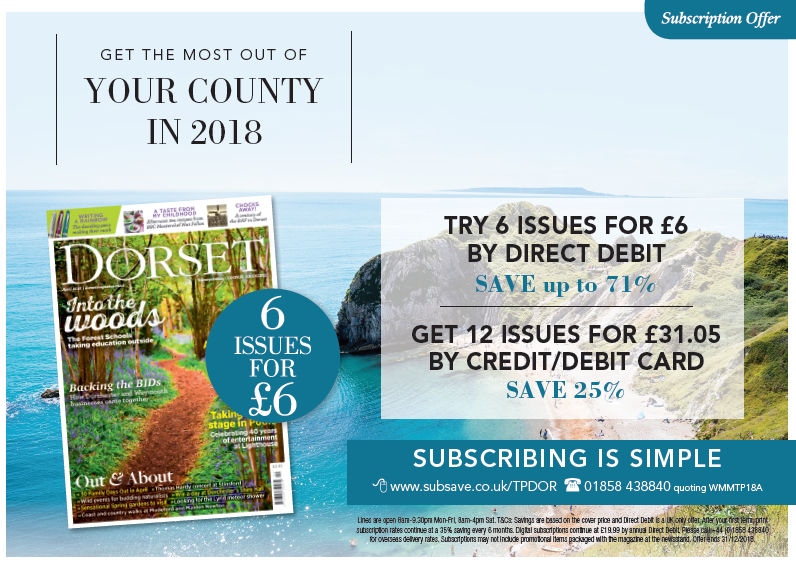 We’re delighted to support Dorset Magazine with a subscription offer to our Festival followers. Do take advantage of this special offer and enjoy discovering all that’s happening in Dorset for many months to come. Also see our Festival feature in the May issue of Dorset Magazine – out April 2018.